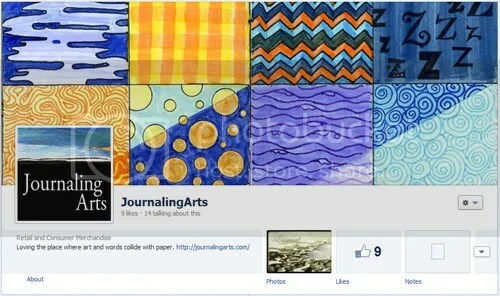 We just launched a Facebook page where we feature lots of cool, creative artwork and news about art journaling, new products and reviews. Be sure to stop by and like us! Are you interested in participating in a collaborative Sketchbook Project? Check out this post by Mari over at CreateWriteNow.com for details of an exciting opportunity for creative journalers. Attention all creative journalers! Your art journals, travelogues, memoirs, to-do lists, short stories and other masterpieces are wanted to join a traveling exhibit with the Brooklyn Art Library. The Sketchbook Project , created by Brooklyn-based company Art House, is a global collaborative art project that encourages anyone – writers, artists, accountants, mechanics, chefs, children, you! – to take a blank sketchbook, fill it with personal thoughts, designs and emotions, then return it by January 15 to be included in a traveling exhibition and permanent collection. Talk about journaling on a global scale! Anyone, anywhere in the world can participate (“This project is for anyone who craves an outlet for that undeniable creative bug.”). Thousands of people participate each year, and every sketchbook is a unique piece of art. It costs $25 to join the Sketchbook Project (and $30 more to digitize your book and make it available to anyone around the world – books receive half a million viewers each year), which includes a custom-designed 5×7, 32-page sketchbook made in Portland, Oregon. To participate in the 2013 exhibition, you need to send your completed sketchbook back by January 15, 2013. It will then go on tour, hitting cities across North America, including San Francisco, Austin, Toronto, Chicago and Atlanta. Your book will keep in touch from the road, sending you an email or text message updating you on its journey. Your sketchbook will then take up residence in the Brooklyn Art Library’s permanent collection and play an important part in journaling history. I love what Jorge did with his Moleskine Sketchbook. Fiorentina’s new patent leather journal and accessories are high quality with a modern twist. This new line of journals, binders, portfolios and pencil cases is a modern take on Fiorentina’s old world charm. The classic Italian leather is accented with a smooth, high-gloss finish, making it sleek, sophisticated, and fun. These products are available in white, black, and fire engine red. White and red have the best resistance to dust and fingerprints, while the black naturally shows more but can easily be polished with a microfiber cloth or a shirt sleeve. 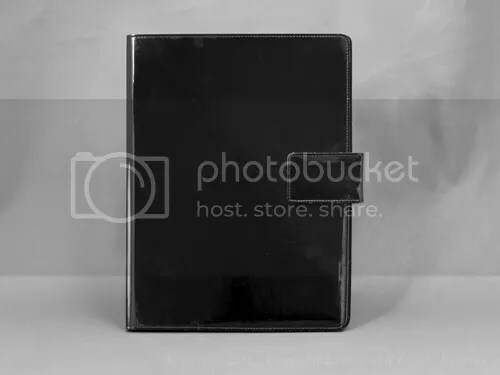 This journal features a sleek, shiny patent leather cover with high quality paper that you would expect from Fiorentina. The journals are available only in the easy-to-carry 5 x 7 size and contain approximately 120 leaves of the same durable, pen friendly Fiorentina paper. The pages are fresh smelling and there is a satin bookmark attached to the binding for convenience. This journal looks and feels wonderful. 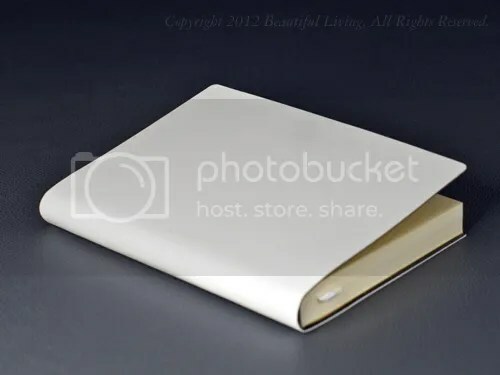 Keep your paperwork and notes in high-style with a glossy, portfolio. The portfolios are well-designed to hold an 8.5″ x 11″ paper pad securely in place and open flat, and come equipped with an inside pen loop, two full-size pockets, and a smaller pocket great for holding index or business cards. The edges are thick to prevent bending or damage, while the portfolio itself is still slim and flexible, and snaps closed easily. 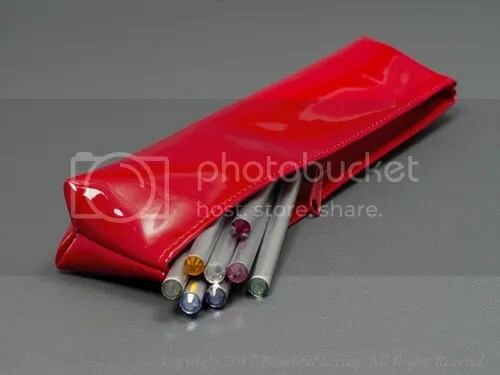 It will be hard to ose your pencils when you keep them in a bright red patent leather case. The pencil cases have substantially thinner (yet durable) walls, and can hold a decent-sized handful of pens and pencils and still zip closed. They are small enough to slip into just about any bag. 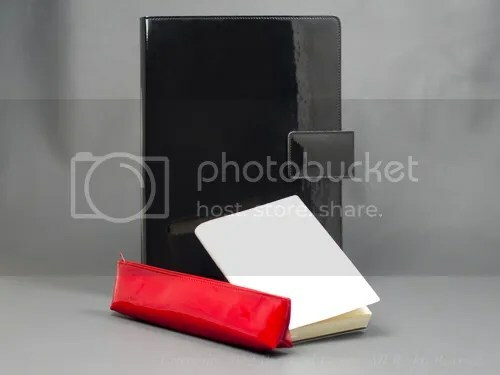 The 3-ring binders are not pictured here, but can be found at Jenni Bick Bookbinding, and are for sale along with the other patent leather products. These items are high-end, unique, and sure to draw compliments from friends and coworkers and other curious passersby.